Emma Jean Bynum Owens peacefully fell asleep in death on January 23, 2019 in the comfort of her home. 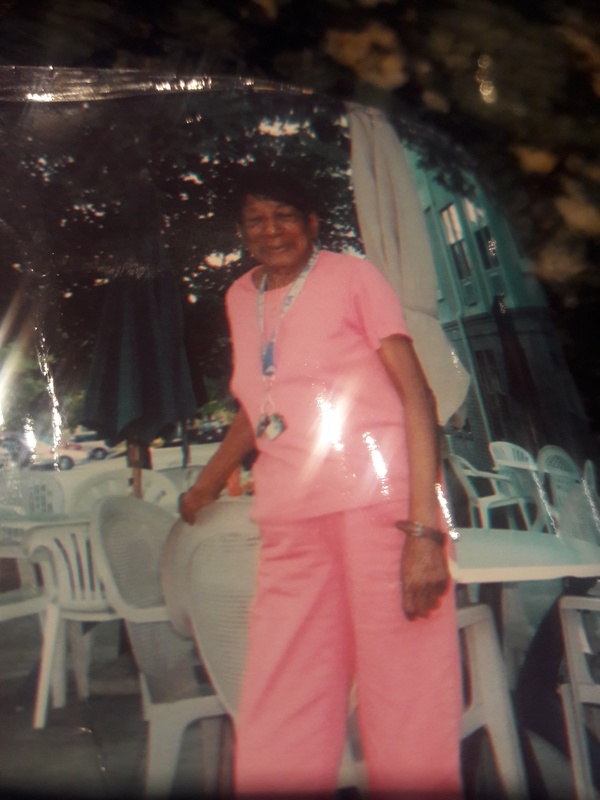 She was born to the late Nathaniel and Lucille Bynum, Sr. She was employed in the Food and Nutrition Department at the Sentara Leigh Hospital in Norfolk, VA for over 37 Years. Throughout her life, Aunt Mama touched the lives of people in many ways. Her final days were spent surrounded by those family and friends that she had touched. She was preceded in death by her brother, Nathaniel Bynum, Jr., daughter, Terry Riddick, and her nephew, Johnie Johnson. Affectionately known as “O,” Emma is survived by her sister, Annie B. Harris of Norfolk,VA; one grandson, Terrance Bynum; five great grandchildren, Tychon, Tamier, Tanyjha, Taryiah, and Tayari; nephew, Antonio Johnson; nieces, Sophia (Felsie) Jones and Sarita France; great niece, Lawanda (Jeremiah) Edmonds; great nephew, Daunte Matthews; and a host of cousins and friends. The family would like to thank all of you for your loving support and encouraging words of comfort. Special thank you to Metropolitan Funeral Service for assisting our family in times of stress. May God bless each of you.